Gary is a native from Mobile, Alabama. He attended the University of Alabama and graduated in 1974, with a degree in Marketing. His real estate career began in 1987, going straight from real estate school to RE/MAX. 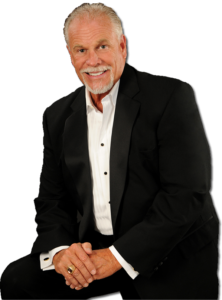 He has owned and operated three RE/MAX offices over his 30 year career. His personal production accomplishments are…achieving the “Circle of Legends Award” in 2011; this being RE/MAX’s highest personal production award by earning a minimum of $10 million in commissions during his tender with RE/MAX. In past years, Gary achieved the #1 individual RE/MAX agent in Texas and #4 World Wide. He is presently co-Broker/Owner of RE/MAX Vintage with over 100 full-time agents, also the “team leader’ of The Stallings Group with nine team members specializing in all areas of Houston, from Galveston island beach properties to Lake Conroe water front properties and ranches in the surrounding counties.